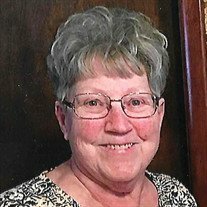 Carole Nigh-Mabry, of White Lake, died Sunday, August 5, 2018, at Aspirus Wausau Hospital. She was 75 years old. She was born on June 25, 1943, in Walworth County. She lived throughout the mid-west and Florida before moving to the Antigo area in the mid-1990s. She married Ricky L. Mabry in 2003 and the couple lived in White Lake. Survivors including her husband are three daughters, DeAnna (Dean) Sorano of Antigo, Ann (Richard) Godfrey of Orange, Texas, Tami (John) Peckham of Wisconsin Rapids; two sons, Robert (Deb) Ostrander Jr. of Antigo, Richard Ostrander and Tracy of Wisconsin Rapids; a step-daughter, Mary Nigh of Homestead, Florida; a step-son, Zachary Mabry of White Lake; nine grandchildren, seven great-grandchildren; three sisters, ReNae Ostrander of Wisconsin Rapids, Linda Rohmeyer of Wisconsin Rapids, Ginger (Dan) Blazel of Wisconsin Rapids; a brother, Sean (Brandi) Ostrander of Rockford, Illinois. She was preceded in death by her parents, one grandson, three sisters and three brothers; and her first husband Robert Ostrander and second husband Harry Nigh. A celebration of life will take place at 3 p.m. on Saturday, August 11, 2018, at DeAnna and Dean Sorano’s home 614 Lincoln St. Antigo.